MarketAgent is a survey site that recently expanded to new countries, and is therefore available in many countries now. But is it a legit site worth joining or a waste of time? 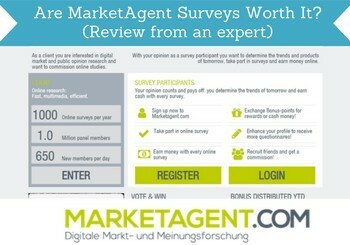 I have tested and used hundreds of paid survey sites, and I have had a thorough look at MarketAgent and tested it, and in this MarketAgent review, I will share my experiences with you. So if you want to find out, if it is worth your time before joining, then keep reading. What is MarketAgent and what does the site offer? MarketAgent.com has its headquarters in Switzerland. On the website you can find the actual address and also a phone number. It is almost always a good sign, when you can find this kind of information on a survey site, as it is a sign there is a legit and real company behind, as it is not trying to hide its location. Being legit does however not mean a site is worth joining. So let’s look at what MarketAgent.com has to offer, so you can see, if it is for you or not. 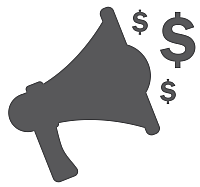 Paid surveys is the main way to earn money on MarketAgent. It makes it easy to use and easy to navigate, as there are not a lot of options to find your way around. However, that also means that there are not as many earning opportunities as on sites that also has other earning methods than paid surveys. Also, I am not impressed by the amount of surveys on MarketAgent. The country I live in is one MarketAgent fairly recently expanded to, so that can be a part of the reason, but I have received a very limited amount of survey offers since joining. It might be different in other countries. You will receive an email when there is a new survey available for you, so you do not have to login to check. When you first join MarketAgent, you get a 150 points joining bonus. It is worth around $1.85 but that depends on the payout method you will choose, which can be a bit confusing, so I will explain this more in details later in this review. It is always nice to get a joining bonus, as it is a great way to get started – it is a decent joining bonus even though it is nothing like the $5 joining bonus a site like Swagbucks for example offers. But nonetheless is it a great start. Most survey sites have a profile section, where you can fill out some information about yourself to make it easier for them to match the correct surveys with you. You can get a small reward by updating your profile once a year. On MarketAgent you can get paid to keep this updated – however only once per year, and only after you have been asked to do this via email. You will get 50 points for this, and since it is only possible to do once a year, it is not really a way to make money in the long run. 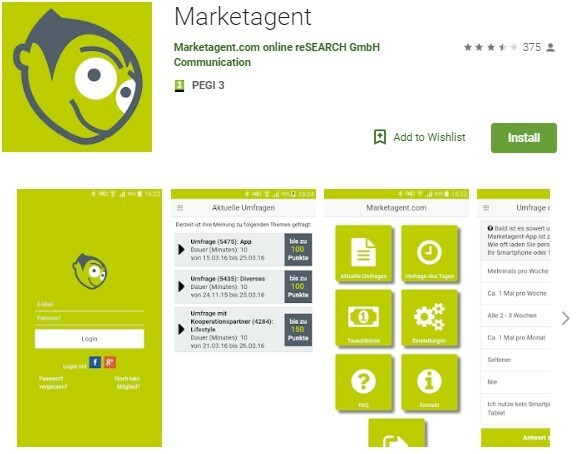 MarketAgent says that you can also earn money by doing micro jobs – this is however only available, if you download the official app they have. I have done that, and I do not have any micro jobs available. It can be because of the country I live in, so it might be available to you, but I cannot say for sure what kind of jobs, or how many you will get. But if it is like anything else on MarketAgent, you should not expect a lot of earning opportunities on the micro jobs. MarketAgent has a browser extension, you can turn on, and then you will get a notification in your browser every time a new survey is available to you. You enable it on the website itself in the section called “browser notification”. When you turn it on, a popup will show up, the notifications. You can get a browser notification, when there is a new survey on MarketAgent.com. Whether or not this is a good way to be told about new surveys, or if it is annoying, is a personal choice, but now you know the option is there. You can earn a little extra by inviting friends to join MarketAgent. You can send emails directly from MarketAgent’s website, when you are logged in, and invite friends that way. You will earn 100 points for every friend that ends up joining, but you will only get this bonus, after they have taken their first survey. So if they do not take any surveys, you will not get any bonus. If you have a website, you can share promotional MarketAgent banners on your site. The reward will be the same, as if somebody joins through an email invitation, and you also only get paid, when the person joining takes his/her first survey. It can be a nice way to make a little extra money, but you need to invite a lot of people to make any real money in the long run. As you have probably already figured out, you will get paid in points, when you take surveys on MarketAgent. These points can then be exchanged to cash, and you can get them out through PayPal or Skrill. Both are good ways to get your money out, but overall my favorite way to get paid for surveys is through PayPal, but that is just my personal preference. What the points are worth on MarketAgent is however a little confusing, and in my opinion it is overly complicated compared to how it works on other survey sites. What the point is worth depends on the payout method you choose. How much points are worth on MarketAgent depends on the payout method you choose. The above is an image of my account right after joining, and it shows the value of the joining bonus I got. As you can see, you get more for your points, if you cash out through Skrill compared to PayPal – you actually get a lot more, which is a bit strange. If you cash out through Skrill, you get $1.23 for 100 points. If you cash out through PayPal, you only get $0.41 for 100 points. That makes most of the rewards you can earn on MarketAgent ridiculously low, if you want to get paid through PayPal. The minimum payout is 200 points, so you need to get to this before requesting a payout. Through Skrill there is no fee for this, but through PayPal, you have to pay a processing fee of 100 points, if you cash out before you reach 1500 points. Considering the really poor exchange rate MarketAgent offers on PayPal, it makes it a really poor option to use on MarketAgent. So if PayPal is your preferred payout method, you should definitely instead go for PayPal survey sites with better reward options. I do in general not like the confusing method MarketAgent is using to calculate points – it makes it difficult to quickly see how much you get for a survey before taking it, which is not very user-friendly. To be honest, you should not expect to make a lot of money on MarketAgent. The amount of opportunities will vary from country to country, but in my opinion the opportunities are not impressive. Especially not if you would like to get paid through PayPal. As I mentioned earlier, I have not been offered a lot of surveys, but the ones I have, have had a really poor reward. The first survey I for example did, took me around 10 minutes, and I got 20 points for it. That is equivalent of $0.08, if I wanted to get paid through PayPal and around $0.25 through Skrill. No matter what, that is a really poor reward for taking a survey compared to other sites. I have been offered surveys that give a little more on MarketAgent, but still not as high as on other survey sites. Also, once you have taken a survey, you have to wait up to 3 weeks for the reward to be approved and added to your MarketAgent account. That is a very long time compared to how quickly it goes on other sites. MarketAgent has its own app, which is really great. It can make it easy to take a survey once in a while, when you have a bit of time. MarketAgent has its own app. The app is very easy to use and user-friendly. According to MarketAgent, you are able to also take micro jobs here, and these are not available on the website. As already mentioned, I have not been able to confirm this myself, as I have tested the app, but the jobs are not available there. So maybe it is because it is a feature that is coming soon, or just because it is not available in the country I live in. In the app you also get a daily survey – it is a very quick survey with only one question that takes a few seconds to answer. This is however not a survey you will get paid for, but just a survey for fun, where you can then see the results of what other members have answered as well. MarketAgent is available in around 30 countries, so if you are interested in joining, you have to check on the website, if it is available in your country, as I cannot list all of them here. Furthermore, the platform is regularly expanding, so if your country is not available at the moment, it might be available in the future. One thing I like about MarketAgent is that in the countries where it is available, it is available in the local language. So that means you can take surveys in your own language, and navigate on the platform in your own language. MarketAgent is definitely a legit survey site. However, that does not mean it is worth joining. But let’s sum up the pros and cons, so you can get an overview, and decide if it is a site for you to join or not. Overall, the cons are bigger than the pros in my opinion. Some of the most important aspects of a survey site is in my opinion how good the rewards are, the amount of opportunities, and the payout conditions. In all these areas I find that MarketAgent is not good enough compared to other survey sites. Therefore, if you want to make money by taking surveys, I would advise you to join sites with better opportunities instead. You can click the link below, to see a list of the best sites. If you have any comments, questions, or have any experiences with MarketAgent yourself, I would love to hear from you in a comment below. MarketAgent is available in around 30 countries in the local language. No matter where you live, you should however not expect to make a lot of money on this site. Compared to other survey sites it has a confusing reward system and very low rewards. I hadn’t heard of MarketAgent prior to reading your review. I looked into taking online surveys to earn money a few years ago, and I even was able to take a few. The payouts are just too low to be worthwhile, in my opinion. If you get 200 points for a 10 minute survey, which you said was about $1.25 (way lower for PayPal), that comes out to making $7.50 per hour if you can do six. That’s the problem with survey sites, in my opinion. You just can’t make much money for your time. I agree that if you want to get paid through PayPal, the surveys on MarketAgent are not worth the time. There are however many sites where it can be a great way to make some extra money. If the goal is to make a full-time income, surveys are not a good option, but if the goal is to make some extra cash on the side, paid survey is in my opinion one of the best ways to do this, as anybody can do it, there are no investment or risk, and you can start earning from day one. Interesting! Marketagent as written in the summary is not a 100% way to make money online. It could be looked upon as an online business when you can invite as many people as you want, which you will be compensated for. It does however sound that MarketAgent should be improved upon for it to be a good option. Yes it is true that you can make some extra money by inviting others to join MarketAgent. But with the small commission they pay you for it, you would have to invite a lot of people to make any real money. But still nice that they have the option to increase the earnings a little with this option. Thanks for sharing this post. This seems to be one of the few survey sites that actually pays out cash, although the amount is quite small. It does sound like they have a bit of work to do before they become a great survey platform. I think I’ll take a look into some others instead. Thanks for sharing! There are actually quite a few survey sites that pay out in cash. And many that has better rewards and opportunities than MarketAgent. If you want to see some of them, you can check out my list of survey sites that pay out through PayPal.